Diana was brought up in Northern Ireland in a family of keen cooks – one of her earliest memories is of sitting, aged three, on the counter top in the kitchen eating freshly baked wheaten bread smeared with butter and home-made raspberry jam. With her mum turning out cakes for bring-and-buy sales and working her way through her Cordon Bleu magazines, Granny Miller regularly producing tins of beautifully decorated fairy cakes and Granny Henry starting each day making soda farl at the kitchen table it comes as little surprise that a young Diana was soon drawn to the kitchen. At six she was making peppermint creams, coconut ice and fairy cakes. By sixteen, she was hosting her first dinner party – an effort, she says, not appreciated by her fellow sixteen-year-old guests. Leaving Northern Ireland at eighteen to go to Oxford University to study English Literature (her other passion), Diana was surprised to find her love of cooking was not only not shared but viewed by many of her peers as a sign that she was not a liberated woman. At one dinner, upon Diana producing a French apple and frangipane tart, one girl gasped, ‘God, did you make that yourself?’ Glowing at the prospect of the praise that would ensue she was taken aback to find that this did not impress but rather horrified the girl. Why would anyone want to spend so much time making a tart? Cooking was frivolous; her consciousness needed to be raised. It was on moving to London after university that Diana really found her culinary stride and more like-minded peers. Living in a flat surrounded by Greek and Turkish shops, Diana would while away weekends on the Edgware Road, with its Middle Eastern cafes, hubba-bubba pipes and mint tea. During the week, Diana worked at the BBC as a TV producer making arts and human interest documentaries (in the cookery field she eventually worked on many of Hugh Fearnley- Whittingstall’s series) but she spent her weekends cooking her way through Claudia Roden’s Book of Middle Eastern Food, Julia Child’s Mastering the Art of French Cooking and Alice Water’s Chez Panisse Menu Cookbook. 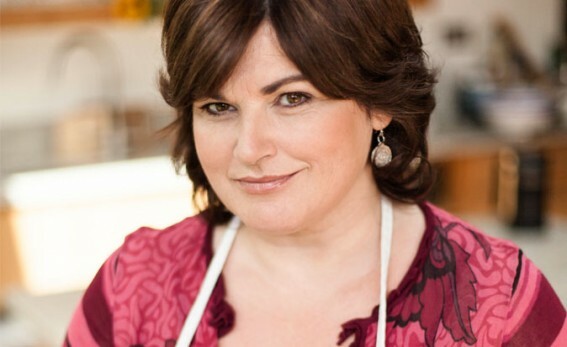 It was only many years and a Leith’s cookery course later that, as the mother of an eight month old baby, Diana turned to food writing as a career and she’s never looked back. Diana lives in London and when she’s not whipping up a feast in the kitchen, she can be found planning trips around the globe – Russia and Alaska are next on the list – watching Scandi drama and reading American and Irish literature.